Brazilian JiuJitsu has been in practice since the early 20th century. Its creation credited to Mitsoyu Maeda and grandmasters Carlos and Helio Gracie, it is a staple in the world of martial arts. Several famous practitioners have helped the sport to grow in popularity, including Roger Gracie, Marcelo Garcia, Demian Maia, and Frank Mir. 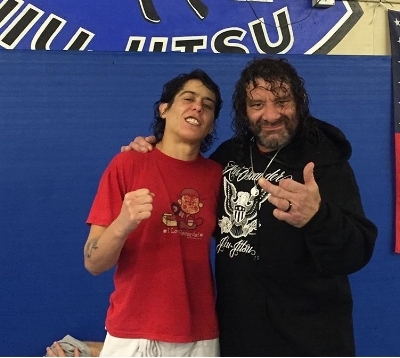 An amplifying aspect is the emergence of female JiuJitsu athletes making headlines, such as Mackenzie Dern, Karen Antunes, Raquel Pa'aluhi Canuto, and Claudia Gadelha. But what about the women who have been there all along? Cindy "The Sleeper" Hales is one such woman. 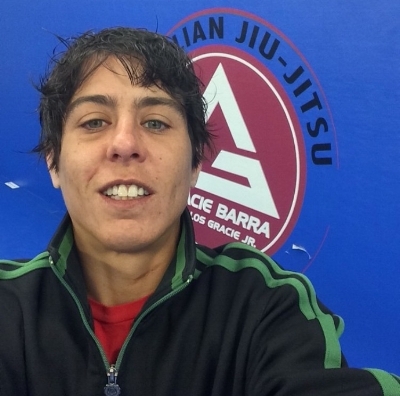 The twelfth and final addition to the Women's BJJ Dirty Dozen, she currently resides in Washington as an instructor for Gracie Barra academies. Her social media is filled with pictures of her dog, hiking in rural mountains, and training with all sorts of individuals. While Instagram may not always be an accurate reflection of real life, it appears that Cindy is genuine about her day to day actions. For someone who was one of the first females to get their black belt outside of Brazil, The Sleeper is humble despite her many accolades. A quick glance at her website illustrates how much she has been able to accomplish, including fighting some of the best women of all time and consistently placing first in acclaimed tournaments. As Brazilian JiuJitsu continues to grow in prevalence and become a facet of American every day life, similar to football or baseball, it is critical for female athletes to recognize the pioneers who have helped to pave the way. 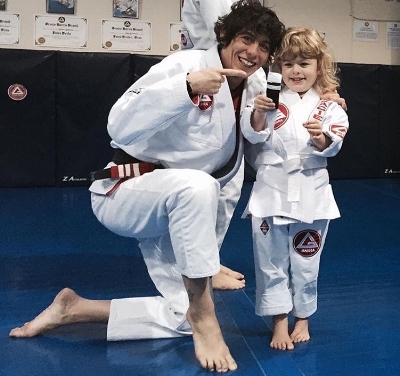 In the interview below, Hales explains what she has learned from her journey and why she thinks women should learn BJJ. PA: As a woman who accomplished the feat of being in the Women's Brazilian JiuJitsu Dirty Dozen, you mentioned in your original Fightland article that you had looked up to many of the other women on the list. How important do you believe it is for women to celebrate other women's achievements in the world of sport? In what ways would individuals be able to celebrate their opponents, or should they not at all? CH: When I first began training, I was almost exclusively surrounded by men. I enjoyed the training but there were not many people I really related to and I never really expected to be good at BJJ. As I trained more and began researching the sport and other athletes, I found out there were some girls out there doing the same thing I was doing. I remember the first large tournament I went to was US Open in Santa Cruz, probably around 2002. At this tournament I saw Leka Viera compete. I was instantly awestruck by her. She was a black belt and super tough. It gave me hopes that maybe one day I could maybe be a little like her. Then I started to learn about Megumi Fujii, Felicia Oh, Amanda Buckner, Tara Larosa, and all the other girls who were doing exactly what I wanted to be doing. It was really inspiring and it made it seem like what I wanted to do was possible. I don’t know if I necessarily celebrated them per se. I just knew I wanted to be as tough as them. To be able to one day be where they were. They made me see that it was possible and for me, that was huge. I fantasized about being able to one day compete against them. I mainly just wanted to learn enough so that I could compete with them. I wanted o one day be them. It feels weird now that I know some of them and have competed against some of my heroes. I don’t feel like I have reached where I want to be, and am still driven by their accomplishments. I am very grateful that I had these women as role models showing me what was and is possible. You have been competing since before women were allowed in the UFC (as well as prior to the existence of promotions such as Invicta FC). As the sport has progressed and slowly opened their ranks to other divisions, what mentalities have you come across in regards to women competing in MMA? As a practioner who has competed overseas, what differences and similarities have you found between the United States and other countries? There are lots of different people with lots of different opinions about women in MMA and martial arts in general. In the early days, women were definitely marginalized in the sport but it is slowly changing. I don’t see this as any different than the marginalization of women in all aspects of life. Some people are afraid or unwilling to admit that women have a viable place in martial arts. I try not to spend too much time worrying about this. I have come across the same attitudes in other things I have done in life, so I think for me it was just the same backdrop of sexism that I have dealt with my whole life. It is nice to see that women are gaining ground in the sport, but I still believe that there is a great deal of sexism that permeates the sport and impacts how women interact with the sport, competition, and each other. As for the attitudes in other countries, I only spent brief amounts of time in Japan and New Zealand. I didn’t have enough time to really compare the environment or attitudes towards women in those countries as opposed to the US. I will say that I felt fighting in Japan was the best fight experience I had in terms of professionalism of the promotion, maturity, and respect of the fans and crowd. I am not sure why exactly this was but I found that the fight in Japan was the least problematic in terms of sketchy management and promotions. The overall feel I had in Japan was very welcoming and I really enjoyed it. There have been a few descriptions of your diligent regimen in preparing for a fight, including a particularly intense weight cut (25 lbs in 6 weeks). As women's bodies are significantly different in the way they lose or gain weight in comparison to men, what are your thoughts on various weight classes--are they necessary? Do you believe weight cuts are crucial in determining the fairness of a fight? I made a huge weight cut for my fight in Japan. I don’t really believe that this was the smartest and definitely not the healthiest choice. 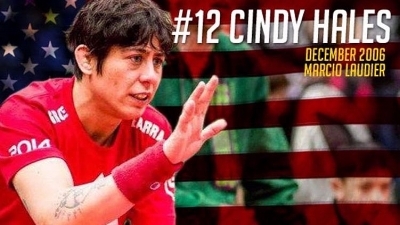 I made it because having a match against Megumi Fujii was a dream of mine and I was trying to figure out how I could get the match up for a couple of years. It came along at 115 lbs, so I felt like I had to take it or I would regret it for the rest of my life. As a coach for BJJ I definitely try to steer both men and women away from extreme weight cuts and try to have them focus on improving their technique, strategy, and mental preparation versus exerting a lot of energy on the weight cut. Ultimately, I feel that people put too much stock in the value of the weight cut and not enough stock in the technical training, especially at the lower levels. I would like to see organizations restrict the amount of weight competitors can cut or to change the rules in such a way to deter athletes from going this route. As an instructor, what is the impact a coach has on their student? 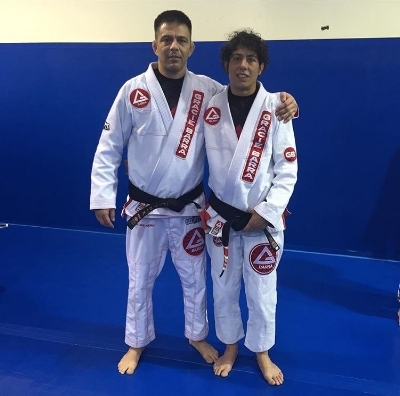 Your generosity has been well-documented, as well as your passion for Brazilian JiuJitsu. How do you think it benefits your pupils and when did you realize its significance? I think my approach to coaching came about as a direct reaction to all the coaches and teachers I had growing up. I never responded well to coaches who intimidated or belittled me as a way to motivate me. I always steered away from these coaches and left sports for a big chunk of my childhood because I didn’t think that it was enjoyable to be yelled at. When I started BJJ I was just looking for a hobby at first. As I got more serious about my training, I began training with other coaches. For a while I ended up at a gym that was very competitive, aggressive, and masculine in its approach to coaching. They had very tough guys and I thought it was the road to my also being tough. As I spent more time at that gym, I began becoming a person that I didn’t like. I was surrounded by people whose values and attitudes were starting to encroach on what I believed to be right for myself. I eventually left that gym and began really thinking about how I wanted to be as an athlete, competitor, and coach. I began to rebuild my thoughts and attitudes towards coaching and training and that basically led me to where I am at today. I don’t think I am the best coach in the world; I just try to be a coach that I would like to learn from. I care very much about all of my students and I want first and foremost to see them gain happiness from training. I feel that if people are happy in their training, they will continue long term. With that time, I have a good chance to teaching them quality moves. I don’t know if it is the best approach to coaching from a win-lose standpoint, but it is what I try to do. There are still many individuals who believe women have no place on the mat (in MMA and BJJ alike). In what ways do you think your career refutes that? As an instructor, a practioner, and a competitor? A concern that comes up time and time again is that, despite being considered the "gentle art", BJJ can "be viewed as violent and violence is not something that women should be exposed to". Would you consider BJJ violent? And can be women be exposed to BJJ and other martial arts in a controlled environment? I do believe that BJJ in many ways can be violent or at least aggressive. But I don’t see violence as wholly bad or negative. Violence exists and is everywhere. If we can learn to work within the violence, and to minimize or control the impact that violence has on our lives as women through learning BJJ or fighting, then I am all for it. I believe that shielding women from violent endeavors makes no sense. Violence exists and women are always going to experience violence in the world. I believe that we should train women to be strong and confident in the face of violence and we can do that by giving them the tools to defend themselves. We can encourage them to feel confident despite the violence that occurs in the world. We can let them know that they are okay and can handle it. I think many people who argue that BJJ is too violent for women or just in general are often times unable to see that many of the things they do and the attitudes they convey are also violent. Teaching women that they cannot do certain things because they are women, in my opinion is a fundamentally violent act towards women. Women are capable of handling violence and adversities just like men are. To deny women opportunities of experiencing things under the guise of protecting them from possible violence or other negative occurrences is dangerous and counter-productive. Your mentality is awe-inspiring. From the various challenges and setbacks you have faced, both within the cage and outside of the academy, you have continued to progress and thrive. Why do you believe that is? Despite your various (and often severe) injuries, what pushed you to continue competing? I think I am just internally driven to do certain things. I become a bit obsessive about things that I get into. I can’t imagine not doing BJJ. Often times, I try to talk myself into stop training, I start looking for regular jobs, planning a life where I do regular normal stuff. As I get farther into planning my life without BJJ, I begin looking at what that will look like and how depressing it seems to have a normal desk job, trapped doing something I don’t like. I always scrap my plans at a normal life and come back to figuring out ways where I can stay active in BJJ as long as possible. At this point, it really has become a race to keep my body healthy and in working order. The physical injuries are often times what seem to hold me back. But what I love about BJJ is that there is always a new approach to moves and strategies that can work around pretty much any injury. I have revamped my game several times as a reaction to my injuries at the time. It is always hard in the beginning having to learn a whole new set of moves but in the end I come away with a different understanding of the techniques and of myself. I think this constant evolving and adapting of the game to fit my current needs is what really draws me to BJJ. What advice would you give to a female who wants to fight, but doesn't know where to start? What do you believe are the most important basics for one to focus on? I think my first advice would be to find a gym where you feel comfortable and supported. If you don’t have the right team of people behind you then I think this sport is very hard. After finding a good environment, I think the next step is to be ready to put in a lot of hard work and time. It isn’t a fast process and I think some people want quick results. I think rather than focusing on quick results, it is smarter to just hunker down and be prepared to put in endless hours of drilling, sparring, failing, getting back up, and trying again. I think persistence and diligence is the key. Finally, what do you think is important for people all over the world to know about female athletes? What do you feel that they contribute to the world of sport? I think everyone should begin really valuing the contributions of female athletes. It is depressing that so many great female athletes are overlooked solely because they are female and their successes are just not valued as equal to their male counterparts. Women throughout history have always had a place in sports and have had huge successes; I just hope that we can start acknowledging these successes instead of marginalizing them.